Frank makes it back to the USA. It seems like everything is going well with Frank’s new business venture to illegally transport people across the Canadian border until he gets cornered by the “Royal Canadian Mountain Police.” While he is riding in the police car, he even jokes that they actually do wear those hats and that he “thought that was only in cartoons,” to the disapproval of the police. Luckily, Frank is able to escape his dilemma and goes on an adventure of his own to make it back safe and sound to the states. He knows he has arrived home safely when he spots a Costco, thrilled to embrace discount detergent with open arms. Kev comes to the realization that “dominance is in his DNA” while Svetlana gets an unexpected visitor. Kev or “Sir Kev,” or wait just “Sir,” as he wants to be called is still holding on to his new-found power of dominance, refusing to back down from it now. He explains to V that it was previously in “hibernation like a baby bear,” but now there is “no more Mr. Nice Guy.” V decides that his dominance could best be used to convince Svetlana to wear a new dress code, which he enforces to her enjoyment. “Dominance…boom.” Even though Svetlana is covering up her “tatas,” she still rocks some seriously fashionable glasses. Svetlana gets an unexpected visit from a woman she had helped smuggle into the country, which she previously referred to as a “bottom feeder,” only to get a slap of reality, realizing that the “bottom feeder” now has the American Dream she so desperately wanted. Svetlana is horrified at her own circumstances, wondering if she made the right choices for herself. Something tells me that Svetlana is not about to let anyone step on her, however. Debbie befriends a dog named, Toto. To make some extra cash for Welding school tuition, Debbie takes on a job watching someone’s dog. The adorable dog, Toto, has a unique set of skills that Debbie was not expecting, however. At first, Debbie thinks the dog has a problem with everyone when he continues to bark randomly, as if alerting her to something. 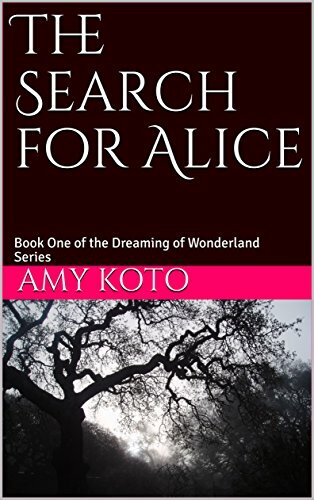 After Debbie witnesses a drug-bust and finds the product, she realizes that Toto must have been a “drug dog” in the past. She quickly enlists his help as her new “drug supplier” to obtain the money she needs to go to school. Perhaps Frank should take some advice from his youngest daughter on how to successfully pull off a business scheme, although it could back-fire as well. After getting some mixed signals from Irish Ford, Fiona is not sure what to expect from him. When he invites her to hang out, she hesitantly accepts, not sure what she is in for. She quickly discovers she is hanging out with a bunch of Ford’s exes at a bowling alley. When they ask her what she typically averages in bowling, she admits “I have no idea.” Things are looking up, when she does a decent job and screams out, “Yes Team Fiona!” No one is really paying attention, but the important thing is that Fiona is actually having a good time. Later in the episode, Fiona feels the familiar reaction of confusion and mixed signals coming her way, revealing to Ford that she is an “amazing effin catch.” Irish Ford appears to agree, kissing her at the end of the episode, putting aside Fiona’s doubts for now. Is this the start of a solid relationship for Fiona? Carl’s girlfriend, Cassidy, starts out the episode making a video scrapbook for her beloved, not wanting him to abandon her and ship off to military school. Seems like a sweet idea, until she begins adding in some tasteless photos of her and some interesting recordings. Carl seeks out some advice from Kev and the guys on what to do, realizing that he needs to prove his commitment to Cassidy. Unlike most girls, Cassidy has an interesting perspective on love. She thinks of their “boning” as “uniting our souls” and tells Carl that he is “mutilating her effin heart” when she is convinced there will be tons of girls at military school, even though he repeatedly explains there are literally no women at the school. Carl takes the plunge and purchases a promise ring, staging a romantic re-creation of the day they first met…handcuffs and all. The sentiment is actually quite sweet, until Cassidy mistakes it for a marriage proposal and eagerly shrieks “yes!” How is Carl going to get out of this one? Is he actually going to marry Cassidy? We’ll have to stay tuned to find out, but it’s clear the adventure is not over yet.